Speaking to Gamasutra Phil Fish, the visionary behind long-awaited Xbox Live Arcade title Fez, has already unveiled the game his team are working on now that Fez is nearing release. Super Hypercube was a pre-Fez puzzle game made using the Wii for head tracking in a similar way to the now infamous Johnny Lee video. 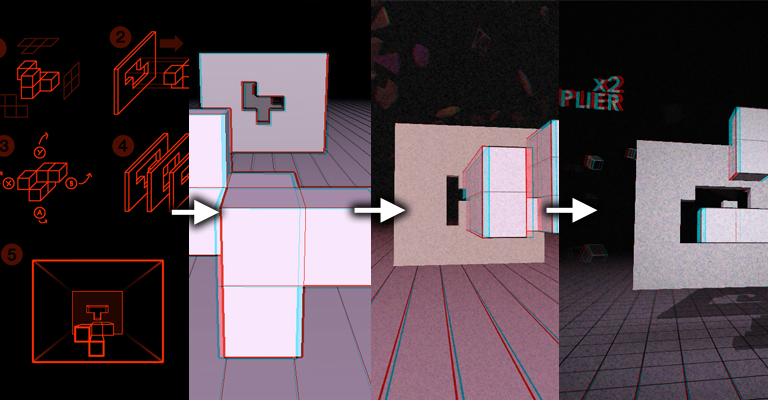 Players rotate blocks of various shape using a controller in an attempt to align the correct face with the hole in the wall, not too dissimilar to the array of Hole In The Wall-inspired titles already found on Kinect, only using traditional Tetris-like blocks rather than your actual body. As a concept the game worked, but the messy implementation made it impossible for many people to make use of the key head tracking feature. Now Kinect offers the perfect solution, and not only do they have the game working, it was a finalist at IndieCade two weeks ago and Microsoft are showing interest. Hopefully the game will finally see release for Kinect! Check out some old footage below of how the game looked in its concept stage 3 years ago.